Genetics is the study of genes and hereditary. Genes carry the information and instructions to make proteins that are the core reason for the working of the cells in our bodies. While cancer is a genetic disease, meaning disease that arises due to changes in the genetic makeup in the body of an organism, it is not hereditary in most cases. Certain cancers run in families and gene testing can help find out the possibility of developing genetic disorders or cancers later in life. With harmful genetic mutations and cancer rates on the rise in recent years, cancer care needs more forthcoming care and it all starts at the basis of the problem – genetic aberrations. In cancer care, one can resort to having their genetic testing done or undergo a clinical trial based on hereditary cancer they’ve acquired. Taking up these tests and trials are purely personal choices and are linked with the patient’s own wish to do so. Like other cancer types, genetic cancer has its own cons including issues for patients, families, health care professionals. Early detection of hereditary cancer can go a long way in providing care to the patients. Genetic counselors must provide the best possible care to their patients in addition to information on new clinical trials that could help them stand a chance at fighting the disease. Each trial helps in letting the world know the different cases of hereditary cancers, creating opportunities for better diagnostics and better treatment for each specific patients. No hereditary cancer can react to the cancer treatments given in the same way as the mutations and the genetic set-up of each person coming from different bloodline is different. So people with a hereditary cancer diagnosis is attended with a personalized team of healthcare professional and treatment plan including targeted treatments, clinical trials and genetic tests whenever necessary. The genetic cancer survivors are referred to genetic counselors who offer genetic tests and their results along with the follow-up support. The cancer survivors should be given a great deal of support and confidence as they are dealing with the news of having to deal with a genetic condition that has a very complex cure, they must also be counseled right to provide insight to their family members about the genetic mutation that might probably become active in another member of the family, usually young kids. 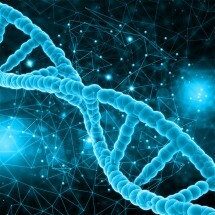 The most recognizable genetic test for cancer looks for variations in the BRCA1 and BRCA2 genes and the variations in these two genes increase a person’s risk of developing ovarian, breast, prostate, colorectal, gastric and related gynecological cancers. Breast cancer is a well-known hereditary cancer that usually involves a follow-up discussion about family cancer history once the person is diagnosed with it. Understanding the genetic basis of their family’s history of cancer can be a life-changing measure. A person who has breast cancer can begin screening for mammograms at an early age; a person at high risk of developing skin cancer can use sun protection. After all, prevention is a major step in cancer, especially in hereditary cancer as there are not many options to fight the disease apart from acting preemptively and taking up clinical trials and genetic tests. Precision care through genetic tests among other cancer treatments may go a long way in hereditary cancer care and provide moral support as the whole family is in the fight against cancer with their loved ones.